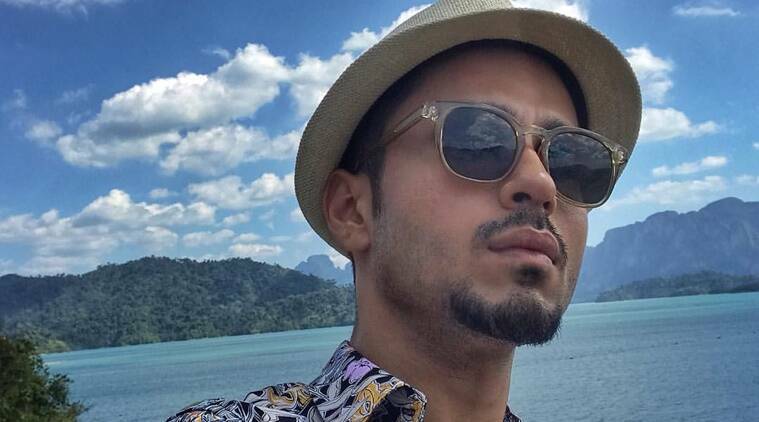 Before you witness Amol Parashar going on another mad road trip in Tripling 2, check out the episodes of World of MG: An Indian Abroad, a travel show hosted by the actor. Streaming on Tripoto, the seven-season show will have Amol going to seven different countries across the globe to enjoy various cultures, cuisines and experiences. While the first season showcased his adventures in Thailand, the team is now working on plans to visit China, Dubai, Australia and Egypt next, though nothing has been confirmed yet. The adventure trip will finally conclude in one of the picturesque locales in India. In an exclusive chat with indianexpress.com, Amol Parashar opens up about road trips, brand integration and his perfect traveling partner. Traveling is always fun. But tell us more about your experience of hosting a travel show? It is a dream job for most actors. I am on camera, traveling to exotic locales and getting paid for it – who wouldn’t want to do this? Yes, it does get hectic sometimes but overall, we have a lot of fun. I was in talks with the team a while back for something else when this started developing. Personally, I love road trips and I just jumped to the offer. It is a unique show and the team has been working really hard for it. As much as it might sound exciting, road trips also come with its share of hurdles. Anything that you had to face? That’s where the challenge lies. Road trips are never smooth. You might plan your journey from point A to B but you can never know what happens in between. Thankfully, the team has really worked hard and researched in advance. Also, we have a small crew, so it works out well. But everything that you will see me doing in the show has been a surprise for me. I am just overwhelmed with the kind of innovative things that I am getting to do through the show. Recently, we are seeing a lot of brand integration when it comes to web series. What’s your take on the same? Honestly, it all depends on the deal between the clients. Today, brands are eased into the story, and I don’t see any issues in that. Even with this show, we have focused more on the experiences than the car brand. The client has also been very supportive and did not ask for any unjustified demands. Even with Tripling, we had a very subtle endorsement and that definitely worked for us. While you are having some amazing road trips on camera, who would be your ideal partner to go traveling with? I have been promoting road trips with siblings for a long time so I will also go with the same answer (laughs). It would thus be my sister for sure. We haven’t really had a trip like this ever so it will help us spend some time together. It’s believed that traveling helps you rediscover more about yourself. Did you experience the same? It has opened me to new ideas and experiences. It has taught me that humans and emotions are always the same. Now I am quite comfortable with people across places and will never feel like I am at an alien space whenever I am abroad.